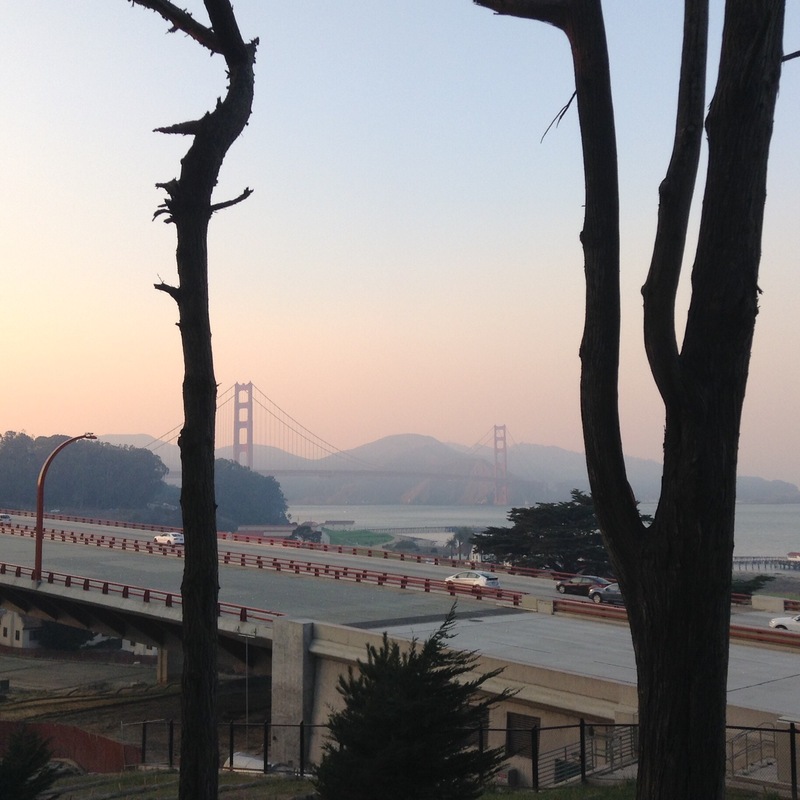 As anyone who lives locally knows, the Bay Area is sitting under a cloud of smoke at the moment. I was working in the Presidio last week, and as we looked out of the windows at lunchtime on Thursday and saw the change in the light, word went round that there was a big fire; we soon learned that the dull skies were coming all the way from Chico. It felt like those summer weekends at Wilbur all over again. When I read about Paradise burning, there was some small glimmer of recognition in my brain, but it took Shalamah calling me on Friday to bring it to the fore: John, who I have met often at Wilbur and who leads tai chi when he is there, and his family lost everything in the fire. I heard there was a GoFundMe set up for them by the management at Wilbur, and was sorry I do not have more to contribute. 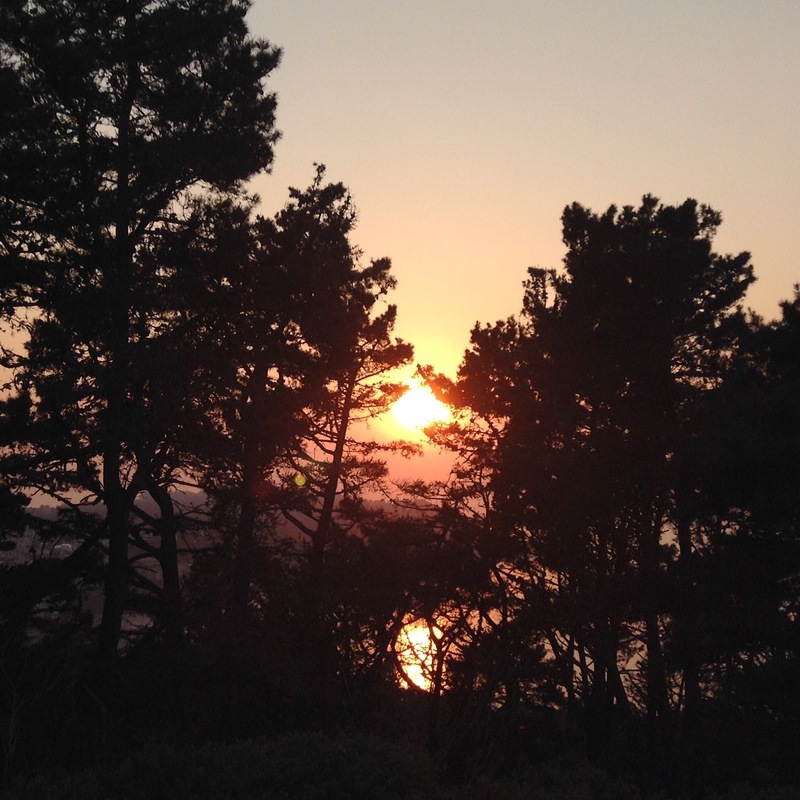 On Saturday I took a ride, trying to keep things as gentle as possible, having felt the sting of smoke in my lungs when I had ridden back over the hill from the Presidio on Thursday. Few people were out, especially on bikes, and you could not see across the bay from Sausalito. The temperature was noticeably colder than recently with the sun blunted (in the evening we turned the heater on in the house for the first time this season). As I rode through Marin, I thought about what I would rescue if I had to grab possessions rapidly before a fire – San Francisco is not exactly in the front line for that, though there is always the possibility of losing everything in an earthquake, and I have relatively few possessions (somebody asked me a while ago what my most valued possession was, and after some thought I replied that my okesa was, but I wouldn’t necessarily go for that as the first thing to save as I could easily sew another) – and I suspect a photo album from my last years of London might be top of the list; I thought of how this fire that impacted so many, and is not even the only fire burning in California right now; about how the climate has been so warm and dry these past few years; of the various fires that have resulted from that; how, all over the developed world, but especially here in the States, where there seems to be a cultural belief in the endlessness of resources to be plundered, people won’t stop driving long distances in inefficient SUVs, or think about minimising energy use in other ways, or try to buy less, or consume less because there doesn’t really seem to be any urgency in the idea of the climate turning against just about everybody in the world. And I also reflected on the hundredth anniversary of the Armistice – there aren’t poppies being worn here, as has been much more publicly obligatory than it was in the UK even twenty years ago, but there were flags being set up in the National Cemetery in the Presidio while I was there. I know that the soldiers were sent to kill and die to maintain the vestiges of empire and all the inhuman resource extraction implicated in that, but perhaps there was also a sense of that war – as the Second World War more clearly was – being fought to make the world a better place for everyone. And still everything is burning. 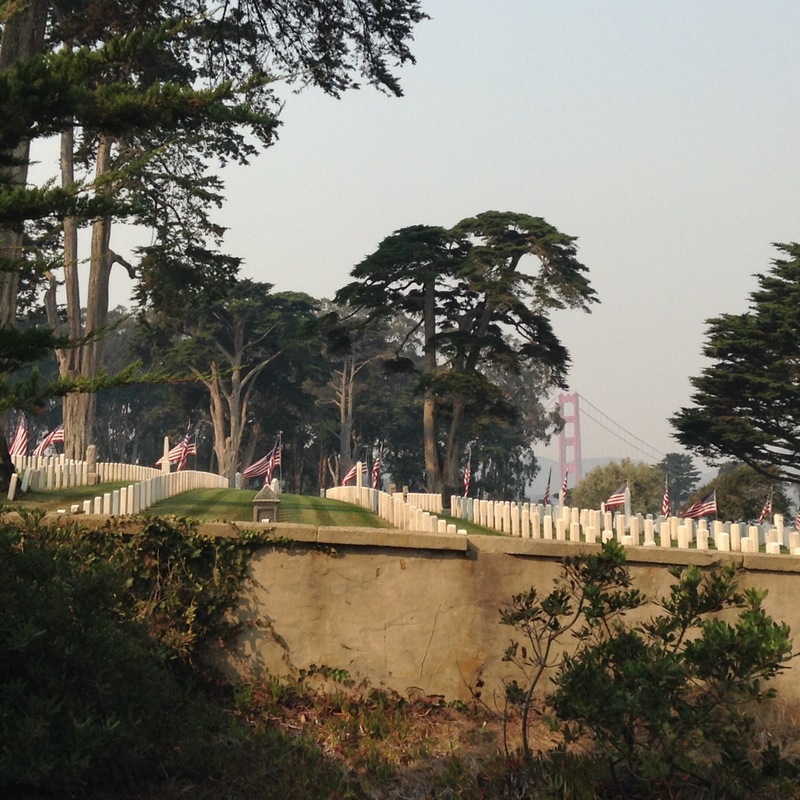 The National Cemetery in the Presidio on Friday – these photos are from my iPad. The view over Doyle Drive on Thursday afternoon. The sun setting over Baker Beach on Thursday afternoon. Posted in personal, photo, practice.Tagged bike, wilbur.